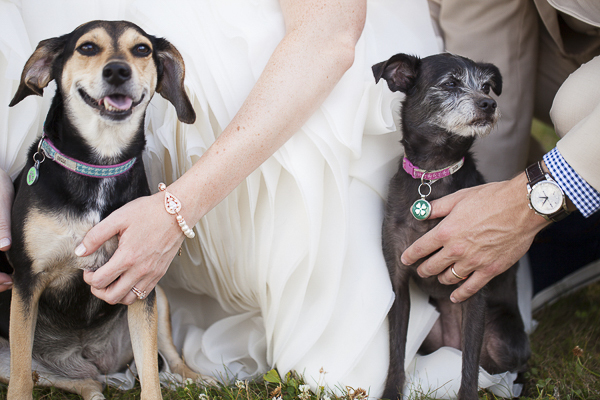 There is only one thing better than having a dog in your wedding photos, and that’s having two wedding dogs! 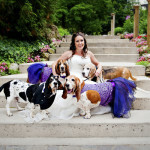 Jen Tucker and her husband Alex, from Wren Photography, took these beautiful pictures of Piper, Rookie, and their newlywed humans. 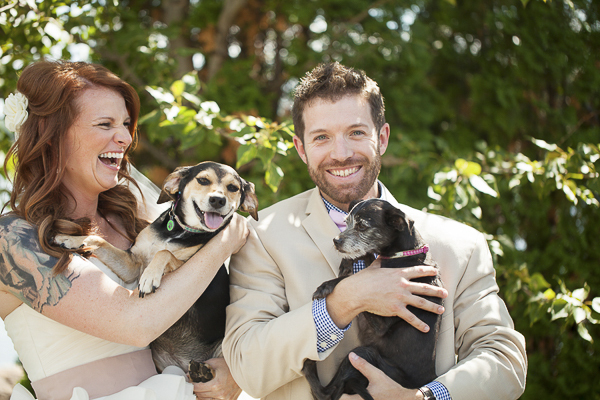 From Jen: “Piper and Rookie are such a big part of Greg and Colleen’s life–that is why they had to have them join them for portraits on their wedding day! From Colleen: “Both Piper and Rookie are rescue pups. I got them three months apart from two different organizations. Piper is six years old, a min pin/min schnauzer mix, very independent, and a huge snuggler. She loves to give licks, but has learned “no kisses, hugs” instead, and nuzzles her little head against your chest (I melt). Rookie is also six years old. She’s a beagle/min schnauzer mix. She is a total people pleaser, obsessed with balls and meal time, and is a total lap dog. I adopted her from Paws Hancock, in Indiana. 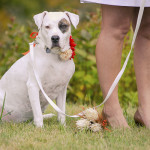 You can see more of Alex and Jen’s photographs by following Wren Photography on Facebook (lots of their clients include dogs in their photos!) They also have a beautiful Instagram feed. 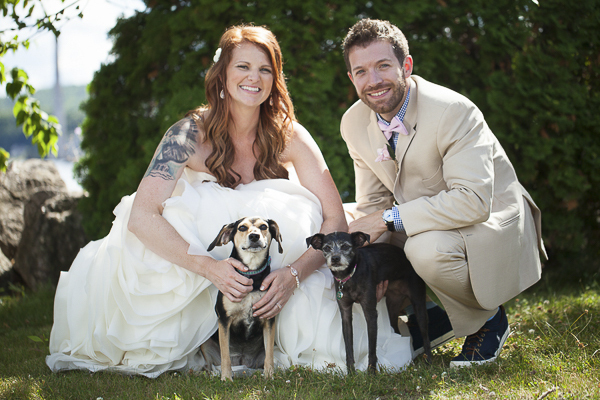 About Wren Photography: Based in Traverse City, Michigan, Alex and Jen are a husband and wife team that specialize in family portraits and wedding photography. Awe so sweet! 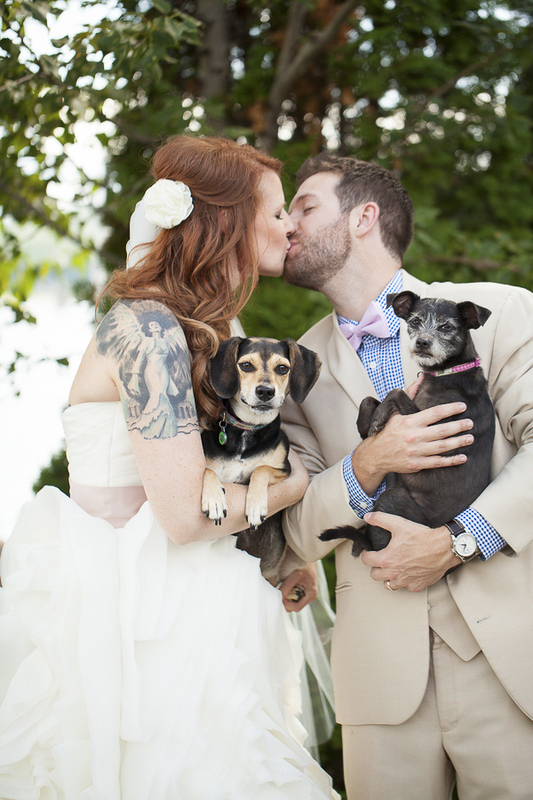 I love when couples incorporate their dog. 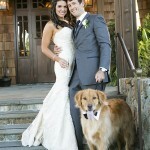 I wish I had my pup when we got married! It would have been so cute. My friend recently had their dog as a ring bearer and saw all the people and took off with the rings! 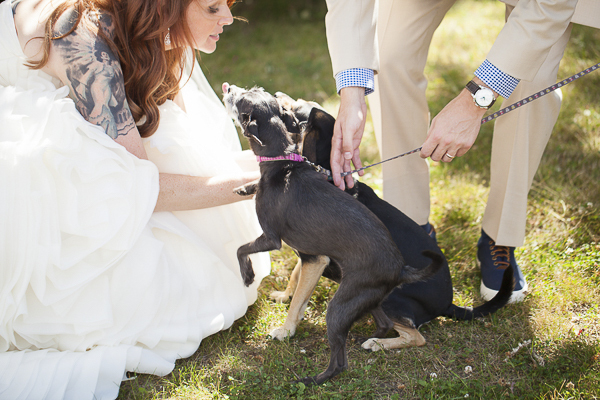 The groomsmen had to chase her down! Looks like those dogs and people are well matched. I see lots of fun attitude in those pictures. These photos are so great, I love them! 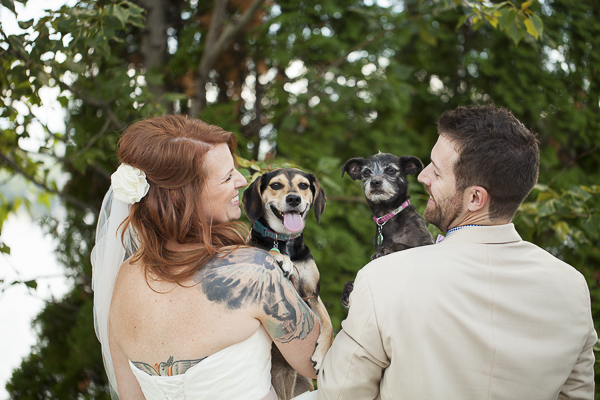 Love when pets are in a wedding. Always love to see humans embracing pets into their families… very sweet! Love all the photos!! 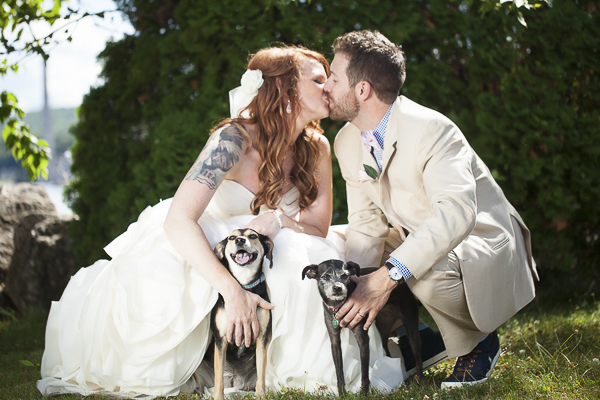 My husband and I had our two yorkies in our wedding and I was so happy that we did! That is awesome, I’d love to see your wedding photos! 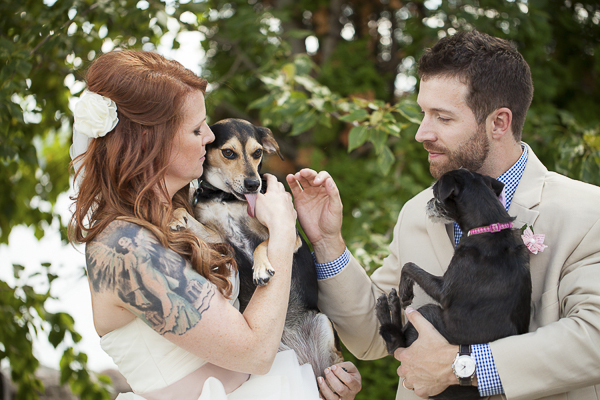 I love these photos – I think it’s awesome to include your pups in the wedding! I wish I did! !